Getting ready for a day of treasure hunting usually involves making sure to have the right tools for the right job. This should include a metal detector designed specifically for the correct terrain, a sturdy search coil, headphones and a heavy-duty carrying case. But what about a metal detecting shovel? Most shovels found in hardware stores that are used for gardening will not do the trick. They are made of aluminum and have a tendency to bend easily even after just a half day of metal detecting. Fortunately, for most treasure hunters, there are better ways of digging out that once-in-a-lifetime find without breaking their favorite garden trowel. In the metal detecting community, there are three types of tools that they use to recover targets. While seemingly unorthodox, a treasure hunting knife is used to cut away plugs of dirt and quickly removing targets. Metal detecting trowels, which are smaller than metal detecting shovels, are made of hardened stainless steel. This infusion of stainless steel makes them hardier than their garden counterparts and more suitable for digging into the rough terrain that metal detecting demands. Metal detecting shovels are great for recovering relics in wooded areas or places where targets have been previously disturbed. The metal detecting shovel is the most popular recovery tool since it is so widely used by relic hunters and prospectors alike. 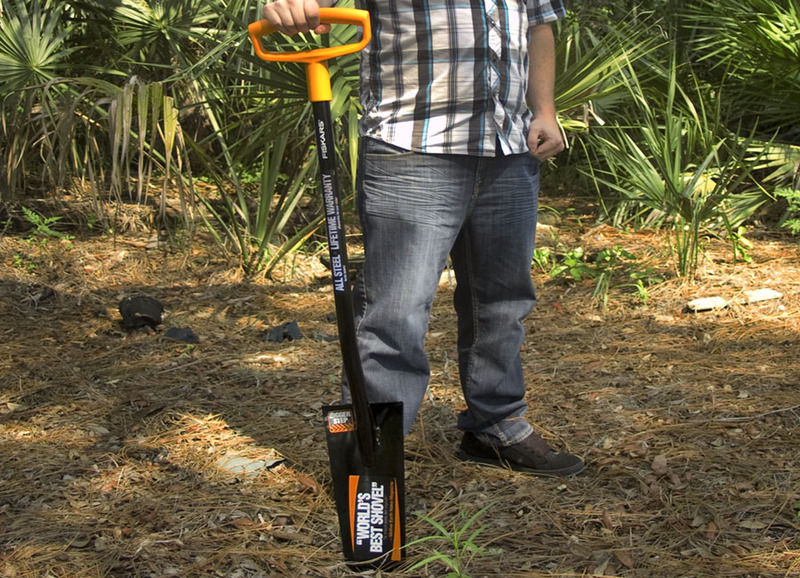 Making sure to pick out the best metal detector shovel with the best features is essential to the treasure hunt. One the most requested features on target recovery tools are the serrated edges. The serrated edge allows treasure hunters to cut into the dirt and pull it out easier than using a non-serrated edge. This feature is available on treasure hunting knives as well as metal detecting shovels and trowels. While having the correct target recovery tool for the job is important, it is also necessary to have the correct accessories. A lot of treasure hunters carry probes and pinpointers to help them locate the exact spot of the target without damaging the target itself. This is important because metal detecting shovels can damage the target if the user is not careful. 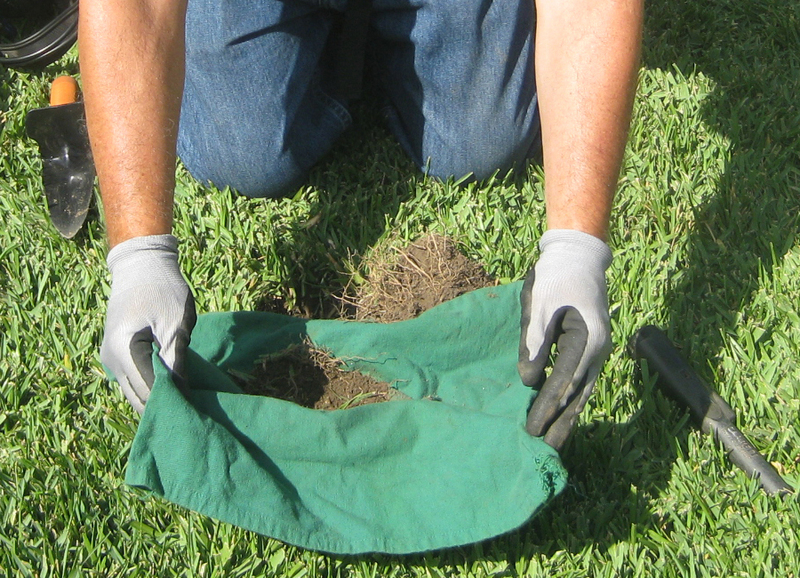 The probe will accurately identify the depth of the target by just being pushed into the ground. This will make it easier to locate the target without damaging it by simply removing the guess work. Treasure hunters also use a pinpointer that can accurately detect where the target is in the ground with just a beep or vibration. It's great for absolutely accuracy as even the probe maybe hitting something that is not a reputable target. It is also important to pick out a good pouch to store the digging tools in as they can get lost or damaged if left out in the open. The good news about utilizing a metal detecting shovel or knife is that there are a wide varieties available specific to a certain application. In the end, a treasure hunter will be looking for a digging tool that can speed up the recovery times of their targets and make their time in the field more productive. Once they get their hands on the right equipment, they will be to recover their targets quicker than ever before!